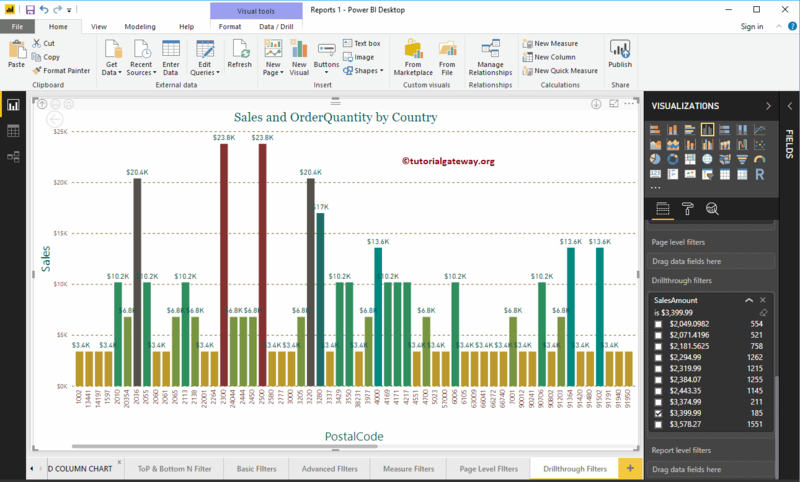 Power BI Drill through Filters are used to drill through particular field, or we can say, apply filters on reports at multi-level. 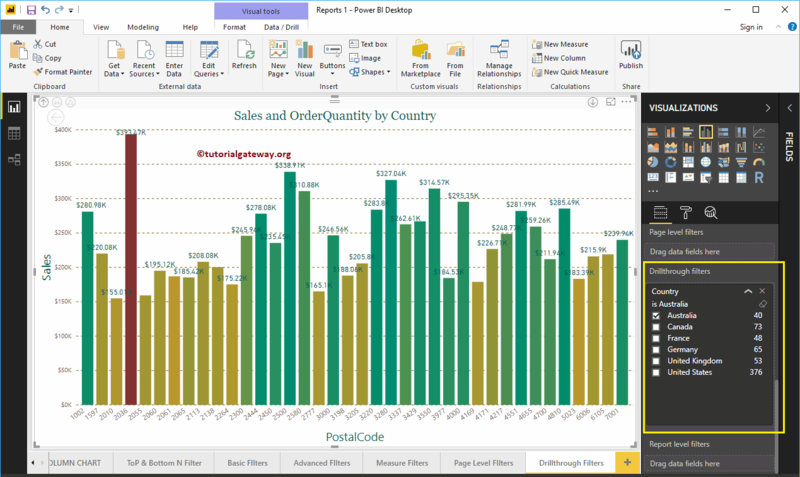 In this article we will show you, How to create Drill through Filters in Power BI with example. To demonstrate the Power BI drill through filters report, we are going to use the Countries hierarchy. Please refer Create Hierarchy article to understand the steps involved in creating a hierarchy. 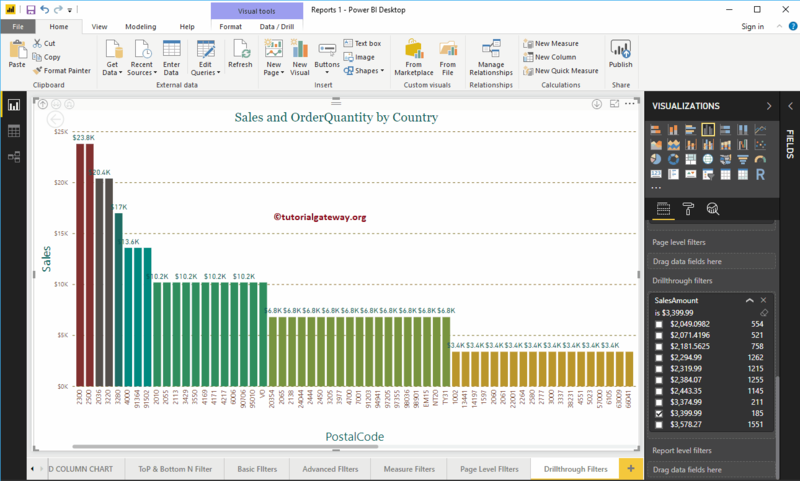 As you can see from the below screenshot, we created a Column Chart, by adding the Country hierarchy in the Axis Field, Sales amount as the Value field, and Order Quantity as the Color Saturation. 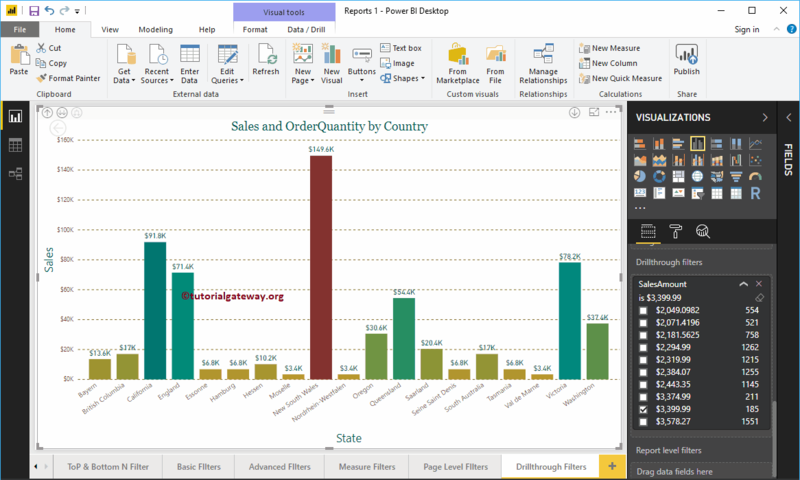 Under the Filters section, you can see the list of available filters in Power BI. 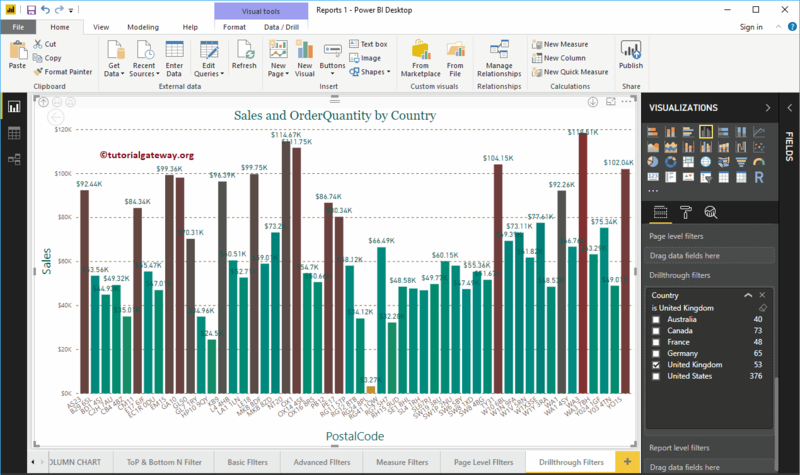 You have to use the Power BI Drill through Filters section to create a filter at multi-level. 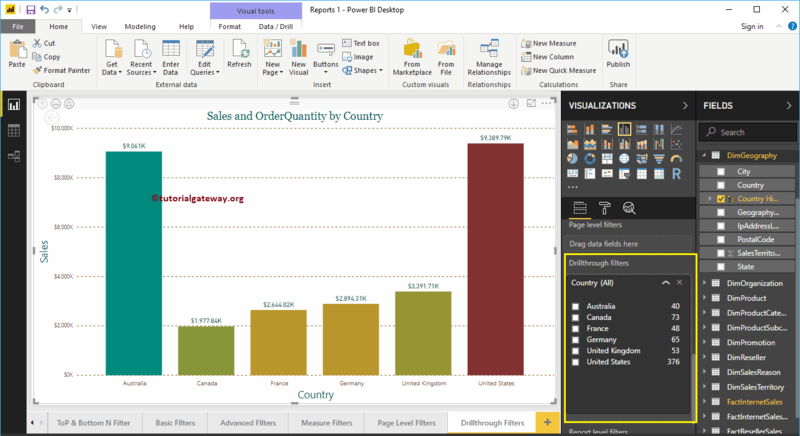 Let me drag and drop the Country from fields section to the Power BI Drill through Filters section. Expand the Country to see the filter types. 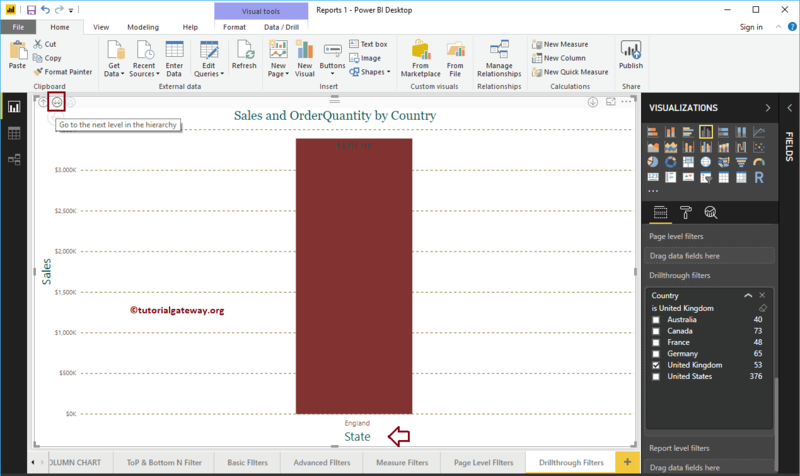 For the Power BI Drill through Filters demo purpose, let me select United Kingdom. From the below screenshot you can see that, the Column chart is displaying the Sales for the United Kingdom. TIP: By default, you can only select One field (Country) at a time. Let me drill down to next level. I suggest you to refer Drill Up and Drill Down reports article to understand the Multi-level reports. Let me go to the another level. 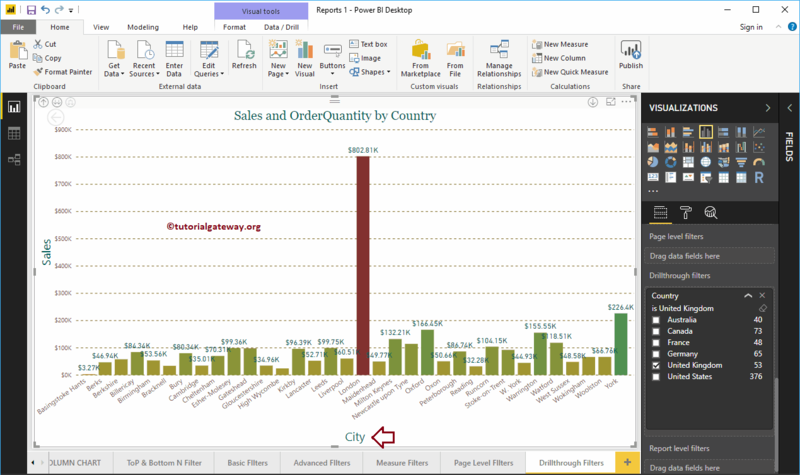 Now you can see the Sales by Cities present in the United Kingdom (level 3). 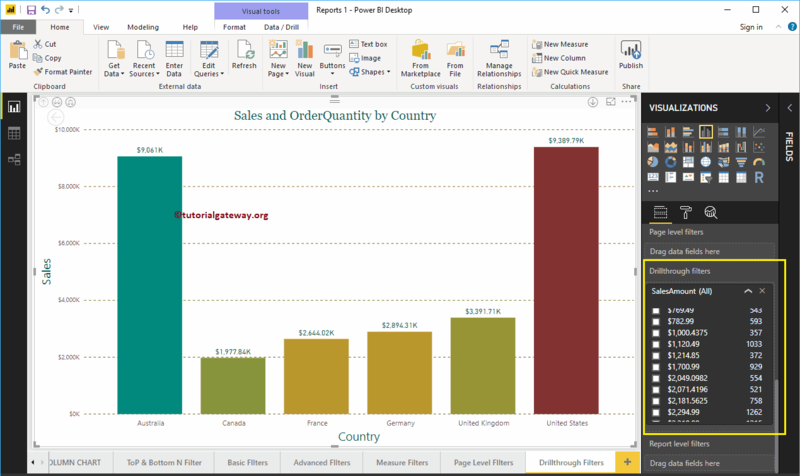 Let me remove the existing Power BI Drill through filter, and drag and drop the Sales Amount from fields section to the Drillthrough Filters. 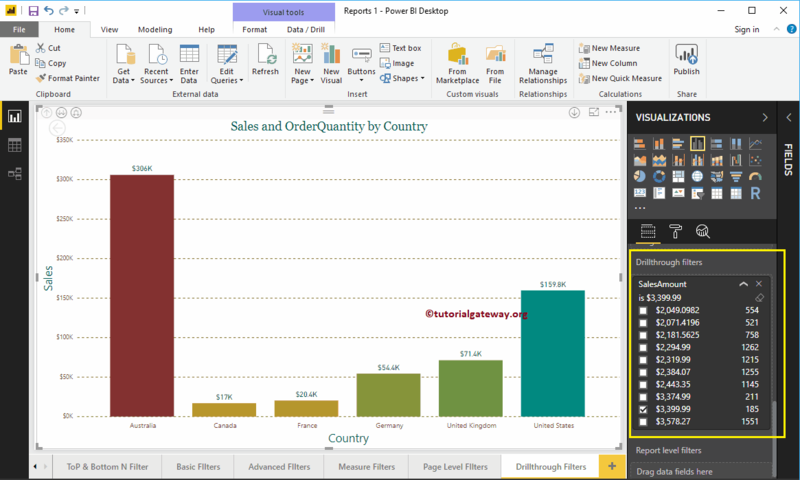 Next, expand the Sales Amount to see the filter options.